This version has the nose piece (np) attached and is for adults and older children (10+) who DO NOT wear eyeglasses. 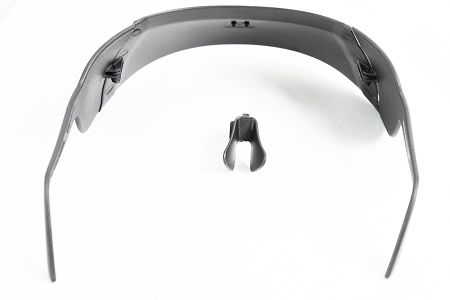 The np can interfere with eyeglass frames so we make it available, as shown below, without the nose piece attached. The below version is also best for adults who wear glasses and childrern under 10. The case and cord are included at no additional charge. This version does not have the nose piece (np) attached and is for adults who DO wear eyeglasses, as the np can interfere with eyeglass frames. 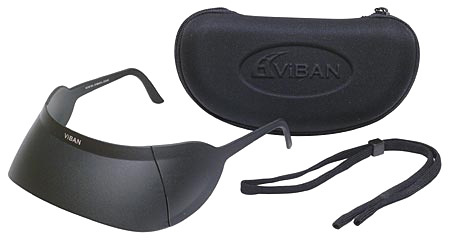 ViBAN fits over smaller glasses, resting on top of the frame. It does not generally fit over larger glasses. This is also the best version for children under 10 with or without glasses, as it can be easily secured in place with the cord. The np is included for super gluing on later if/when desired. The case and cord are included at no additional charge. Copyright Viban Corporation. All Rights Reserved. eCommerce Templates by 3DCart.